P. ARMAND-DELILLE, M.D. ; C. F. GELSTON, M.D. 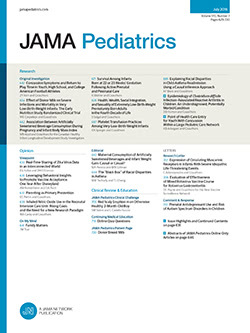 The diagnosis of bronchial dilatation in children very often presents the greatest difficulties, not only because the physical signs are particularly difficult to interpret at this age, but because a whole series of affections involving loss of substance or giving rise to abundant expectoration is encountered with greater frequency in young patients. Bacteriologic examination of the sputum, while permitting the positive diagnosis of tuberculosis, furnishes no other characteristic feature. Until the present time, fluoroscopic and radiographic examinations of the thorax have not given a picture sufficiently clear cut to allow of a topographical diagnosis. The use of iodinized oil, introduced to radiology by Sicard and Forestier, now permits one an absolutely exact picture of the extent and distribution of the lesions. The first results obtained in the study of the bronchial tree in children are herewith submitted.